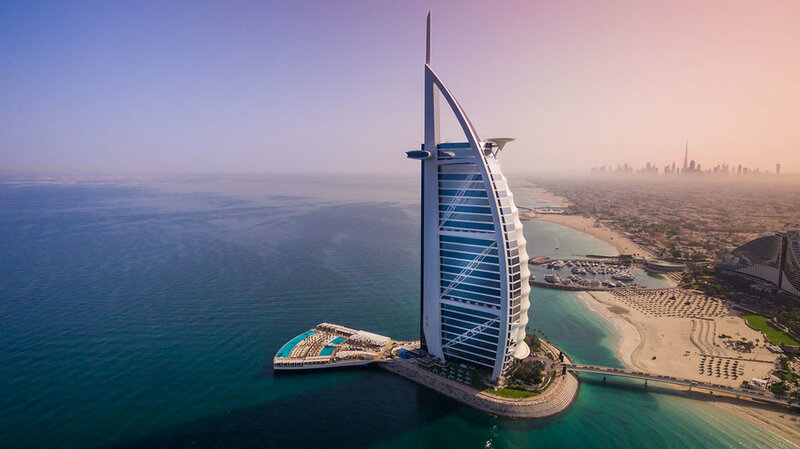 Burj Al Arab Terrace is a remarkable, one-of-a-kind outdoor restaurant, pool, beach and cabana space, created as an extension for the Burj Al Arab, one of the world’s most iconic hotels. 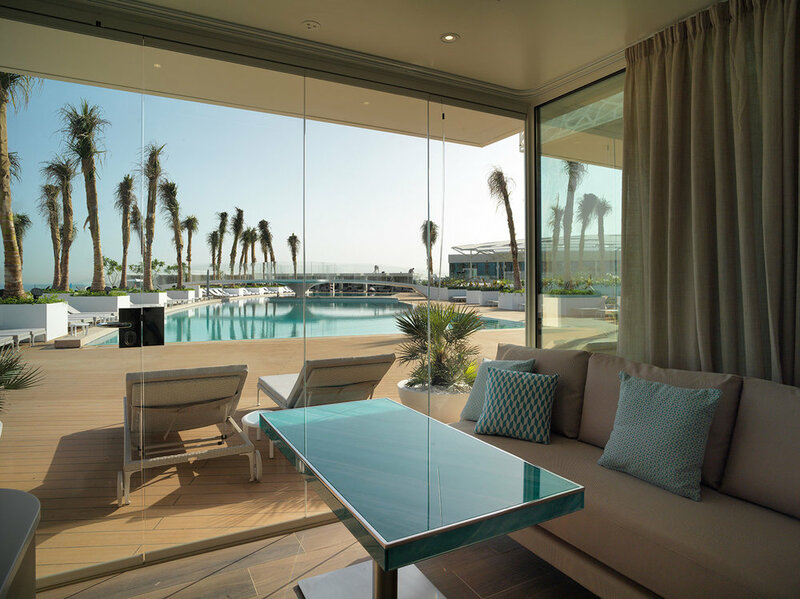 Kudos was responsible for the interior design and material specification, both indoor and outdoor, as well as the resort’s layout, floor plans, furniture and lighting design. 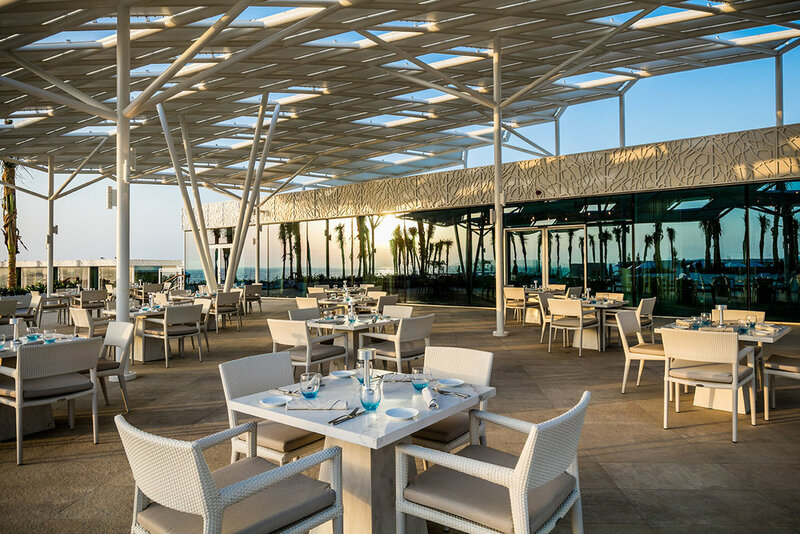 The layout and architectural form of the terrace was designed to reflect the shadow line of the Burj Al Arab, creating a fusion of sophisticated, contemporary structures and tranquil stretches of water. Linked by a central walkway, flanked on either side by beaches and private cabanas, it gives an effect of a stylised tropical forest canopy, with contrasting areas of dappled light and shade. 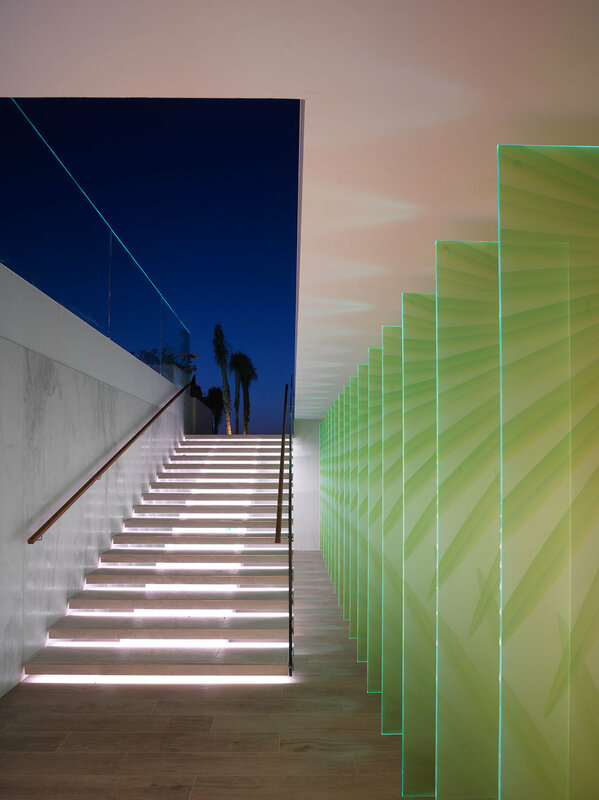 A palette of earth tones and clean, sharp whites, highlight the contrasting colours of nature, while the highest quality glass has been used extensively and creatively, from the panels throughout the interior spaces, to the specially commissioned handmade light installations by Kudos in the Scape Restaurant & Bar. 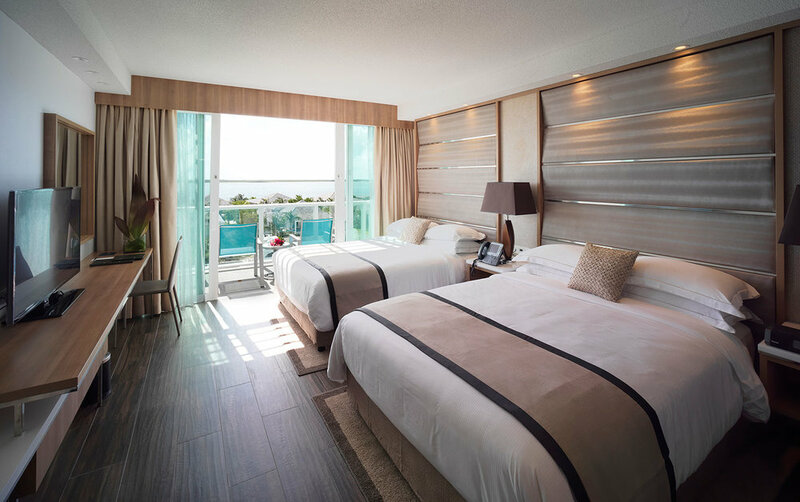 Resorts World Bimini is a 300 room hotel, operated by Hilton Hotels & Resorts, on the remote island of Bimini in the Bahamas. 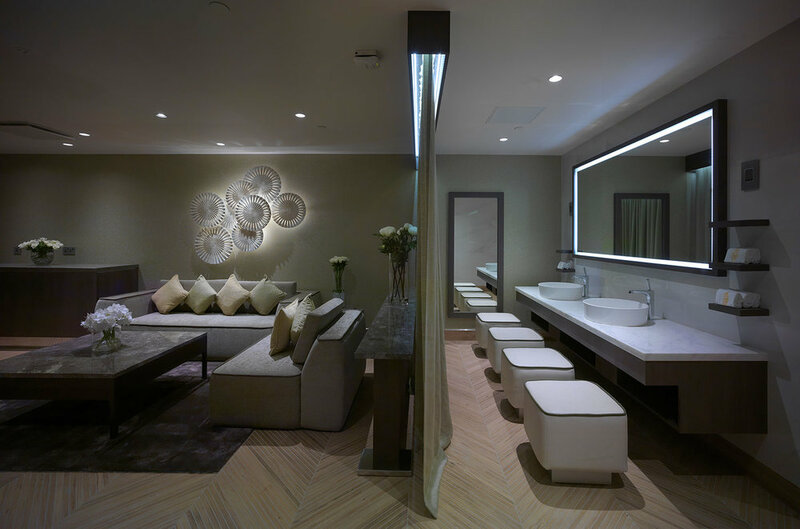 Kudos was responsible for all areas within the hotel, including the guest rooms and suites, reception and lounge areas, conference rooms, bars, restaurant, spa and fitness, sun terraces and outdoor areas. 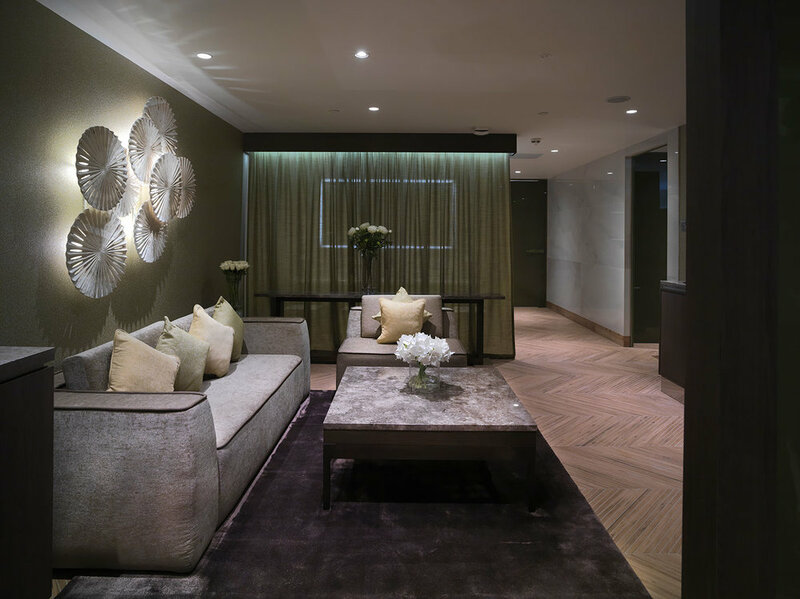 The interior design scheme uses an organic, natural colour palette – with soft, neutral tones, designed to contrast the bright marine colours outside. 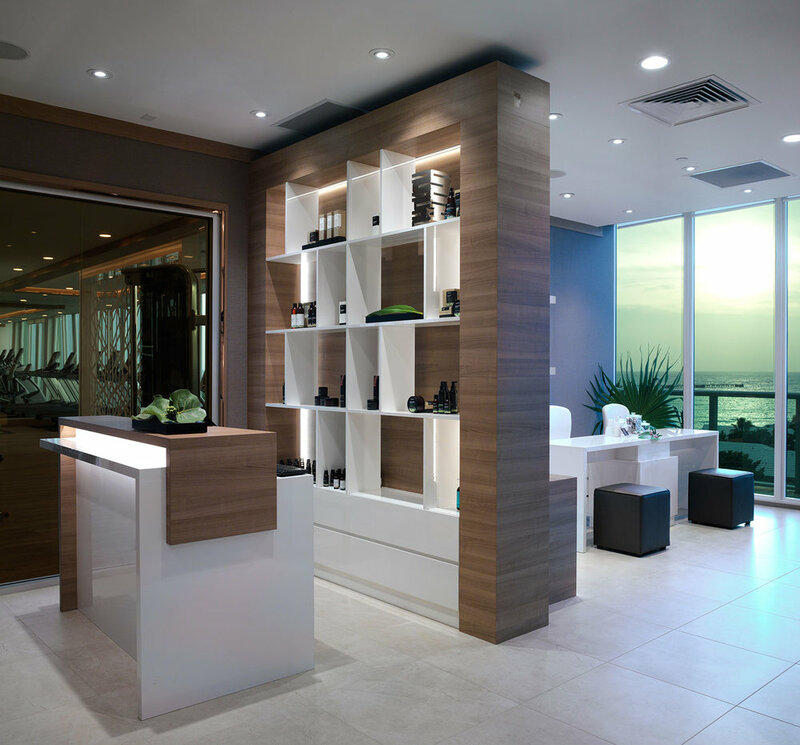 Throughout the hotel interior are special design features, custom made lighting and furniture by Kudos. The interior design scheme uses neutral colours and soft natural tones, to provide a relaxing and uplifting contrast to the bright tropical colours outside. 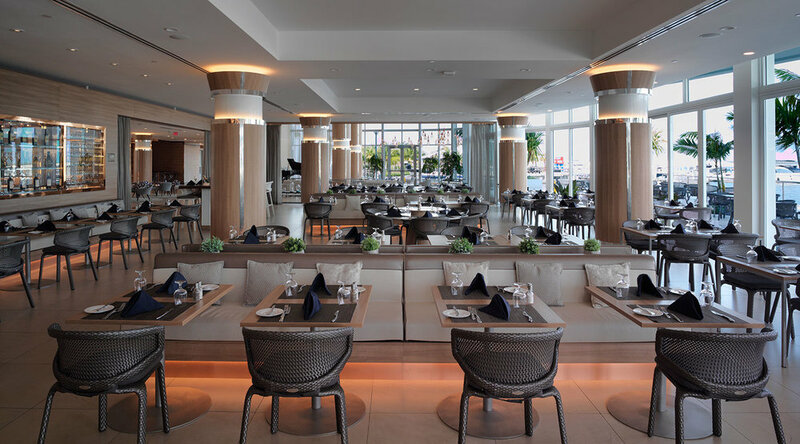 Inviting and luxurious, the light and spacious interior, with floor-to-ceiling windows, expands natural light throughout the interior, through lighter surface materials in the bathroom area and glass partitions. With soft touch, cooling, natural materials, the design has an excellent functional specification, for user friendly housekeeping, and guest friendly features which includes a pull-out luggage rack and integrated storage. 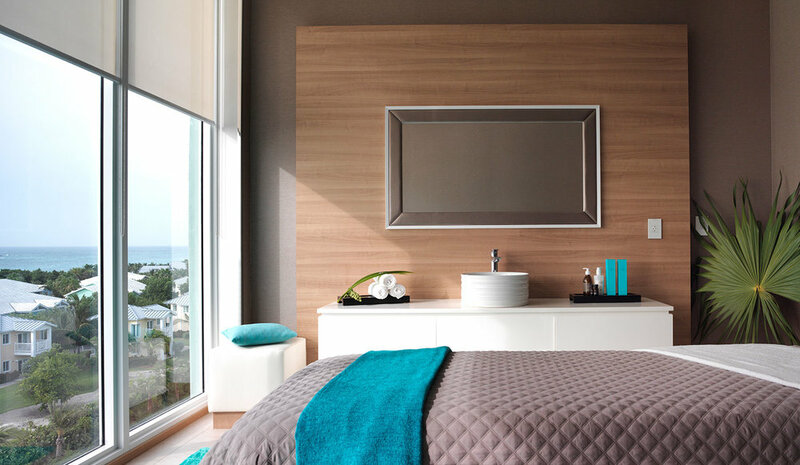 The design scheme features custom-designed furniture and architectural details, including a headboard with integrated LED lighting, as well as luxurious textiles, soft furnishings and drapes. Located in central Stockholm – and combined with a contemporary deli, bar and restaurant concept – Hotel With is an innovative new hotel concept. 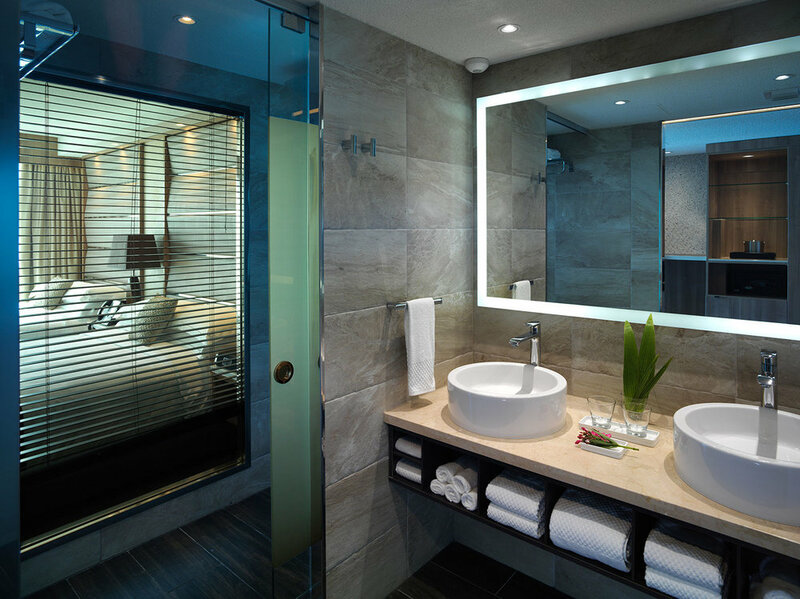 The world’s first urban underground hotel, Kudos was responsible for all aspects of the interior design of the hotel guest rooms and corridors, as well as custom designed furniture, fixtures and architectural lighting. 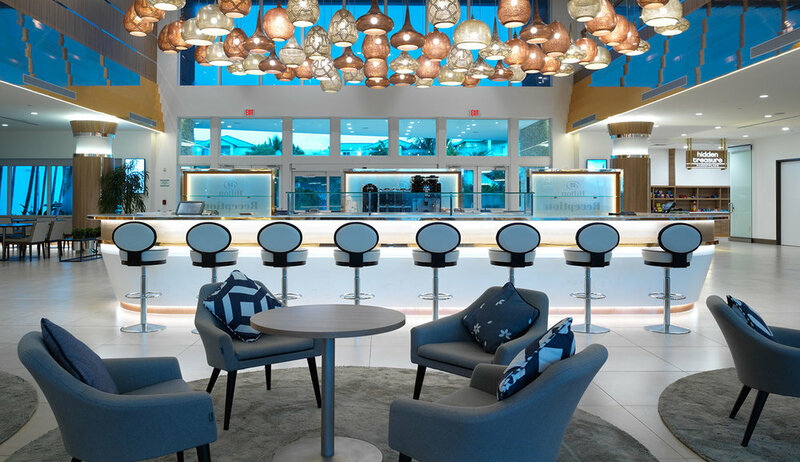 The interior design by Kudos delivers an uplifting and unique hotel experience. The urban, industrial interior design scheme, by Kudos, was designed to compliment Urban Deli – a vibrant deli, bar and restaurant, located above the hotel on the ground floor. 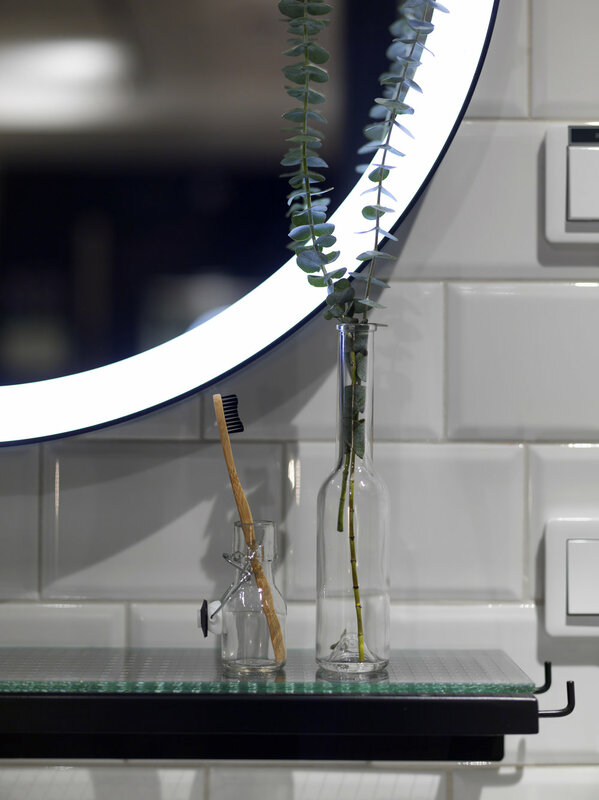 The guest room interiors, feature black custom-designed furniture and industrial themed elements, including wall-mounted TV units made from pipework and glass walled showrooms with an illuminated mirror, black fixtures and stone sinks. Created using a former utilities basement, the unusual location also created design challenges, with different shaped rooms and elements from the structure of the building. Designed to help reduce disorientation underground the room corridors feature a specially commissioned carpet with a design which is always changing and different – in addition to quirky different coloured hotel room doors designed to give the impression of a city street and enhance the feeling of being outdoors. The design mimics a city street, with individually coloured doors complete with letter box and door knocker.